You’ve gone through countless Mario Badescu Facial Sprays and always stock your medicine cabinet with a bottle of Drying Lotion for emergencies. 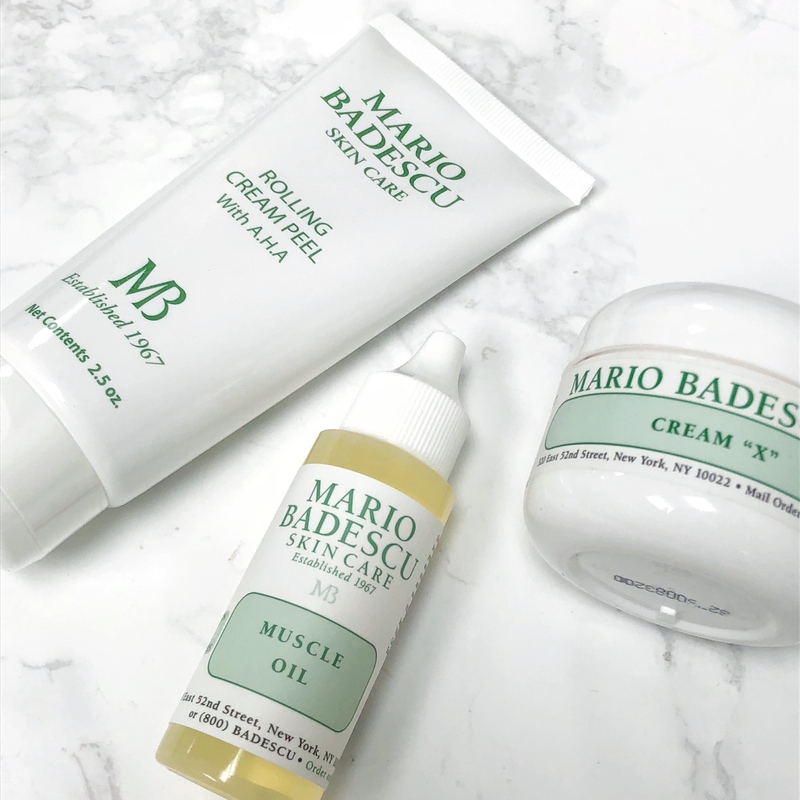 You know the Enzyme Cleansing Gel and Drying Cream like the back of your hand—but what you may not know is that there are over 150 products in the Mario Badescu Skin Care line. What you see in store is but a fraction of our complete collection, so we’re about to give you a primer on some of our most beloved but under-the-radar products. Let’s start off easy with three products you probably never heard of, but need to know about. What it is: This is a unique cream exfoliant that rolls away dulling dead skin cells. Lactic Acid and Peach Extract are the key players in this formula—and when combined with the physical rolling, back-and-forth motion, this peel helps remove that layer of dulling, dead skin cells so your skin looks soft, smooth, and renewed. Who it’s for: Almost all skin types. If you have extremely sensitive or delicate skin, are prone to irritation, or are experiencing moderate to severe breakouts, Rolling Cream Peel with A.H.A. isn’t a good fit. How to use Rolling Cream Peel with A.H.A. : Make sure your skin is completely dry before you apply the cream peel. Use a pea-sized amount and apply a thin layer to the skin (so that you can still see your skin through the layer of peel), avoiding the eye area. Wait a few minutes until you can feel that the product is completely dry, then use your fingertips to gently roll away the cream in back-and-forth motions until the entire cream layer rolls off. Follow with toner to remove any remaining trace of product—and voila! Skin as soft and smooth as can be. #MBSkinTip: Try using it on your hands and feet for a gentle, exfoliating treatment, too! What it is: Mysterious as Cream “X” is, it’s a secret superstar in the eyes of our New York City salon aestheticians. This little-known product is actually a super effective and restorative, dry/winter skin solution: it boasts a supremely rich formula that delivers intense moisture while rejuvenating skin. With Salicylic Acid to resurface and a host of hydration powerhouses to replenish, this is a must-have face cream if you have dull, depleted skin. How to use Cream “X”: Apply to the face, neck, and décolletage after cleansing and toning (avoiding the eye area). Wearing it during the day? Be sure to pair this with sunscreen! #MBSkinTip: You know it’s a solid product when makeup artists carry a jar in their kits! When working with clients who have dry skin, makeup artists will use Cream X to help revive parched, tired skin prior to makeup application. What it is: This is a lightweight, aromatherapeutic body oil designed to help invigorate and soothe. Almond Oil gives it a lovely slip as Eucalytus, Fennel, and Rosemary Oils work their magic. Its distinct herbaceous scent and lingering, cooling touch makes it an essential. How to use Muscle Oil: Massage 2-3 drops where needed, then layer body lotion on top for additional moisture. #MBSkinTip: It’s the perfect post-workout treat—but also a savior for hard-working hands and feet. After a long day of writing/typing/standing on your feet all day, massage a few drops into your skin as an at-home spa remedy.